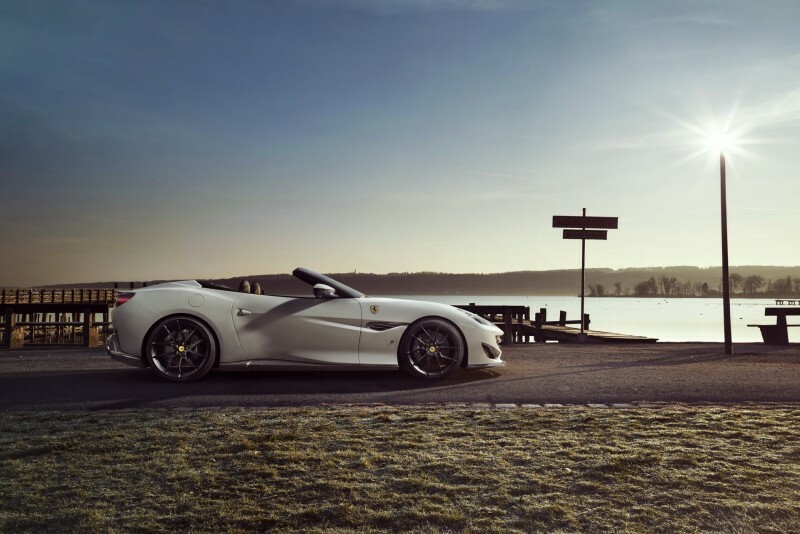 German-based Ferrari specialist Novitec introduced three new performance kits for Portofino owners who are interested in amping up the performance of their supercars. First, drivers will certainly take notice of the new components: a carbon fiber rear bumper attachment, a rear spoiler lip, and special rocker panels. But the alterations yield a subtle finished product. This is Novitec’s province: enhanced Ferrari models that don’t stray into facile bling. The emphasis is on performance, specifically aero and engine liberation. To that end, Novitec updated handling with sports sprints and a hydraulic front-lift system. The tuner was able to increase power production thanks to two plug-and-play N-TRONIC modules and an advanced new exhaust system. Portofino owners who opt for Novitec’s top-tier package will be happy to stomp the accelerator and find that the twin-turbo V8 engine can now make 674 horsepower and 642 pound-feet of torque; their prancing horse can reach 62 mph in just 3.2 seconds on its way to a top speed of 202 mph.